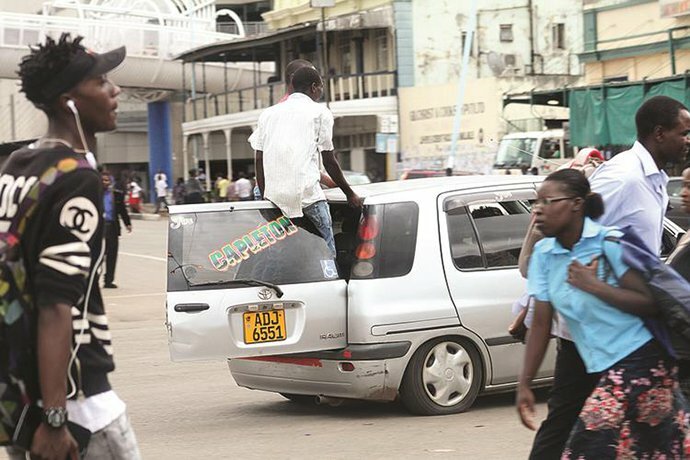 A Bulawayo taxi driver is battling for life in the intensive care unit after he was allegedly attacked by people who had hired him before they shoved him into his car’s boot and went on to dump him near a railway line. Mr Vusumuzi Sibanda was found lying in a pool of blood close to the railway line near the United College of Education on Monday. The suspected assailants also took Mr Sibanda’s car and dumped it in Thorngrove. Bulawayo police spokesperson Inspector Precious Simango said Mr Sibanda, a taxi driver had been hired when he was attacked. She said police were still investigating the motive of the attack as they did not know whether it was a robbery since Mr Sibanda was unconscious and unable to give a statement. “Police are investigating the matter,” she said. In an interview, Mr Sibanda’s wife Ms Similo Mthombeni told Sunday News that her husband has managed to utter a few words and explained what happened. Ms Mthombeni said her husband told her that he was hired by people who had requested to be driven to Queens Park West. She said along the way, the men robbed him, and then forced him into the boot and drove to the railway line near where they dropped him and drove off. The vehicle was discovered last Tuesday morning by Thorngrove residents while Mr Sibanda was picked up by passer-bys on the same day. It is suspected the attackers ran out of fuel while they were in Thorngrove and left the car. A Thorngrove resident, Mr Kenny Sigola, said he saw the taxi parked outside his house late on Monday and ended up getting suspicious when he realised that the same car was still there the following day. “On Tuesday I got suspicious when I saw the car still there so I decided to call the police because I thought it could have been thieves trying to steal from us,” said Mr Sigoba. Insp Simango said there were blood stains on the backseat of the taxi and a blood-stained black T-shirt inside the boot. The taxi floor had some traces of human hair.